Obama pardons Obama and/or Hillary pardons Hillary, that’s how a dictatorship works. Obama or Hillary pardons Loretta Lynch. The only good part here, Lynch can not pardon anyone just refuses to charge or prosecute. Obama or Hillary pardons Huma Abedin, then appoints her Chief of Staff; keeps her around, she’s good with foreign leaders, talented money solicitor. Anthony Weiner, you are just screwed. Hey that’s how a dictatorship works! Comey; Obama may pardon you, you know way too much. Hillary won’t pardon you, you pissed her off and she is too arrogant to think she needs you. She’d probably be right, she’s already been pardoned. This is Washington DC folks. It can go lower than this with a domino string of pardons. Its a complete, excuse the phrase, “corrupt governmental circle jerk”. We let it come to this by not holding them accountable. This is how things have worked for the Clinton’s for years; before it was secretive, now it’s in front of our noses. We’ve been warned by many for many years how it worked. Yes……this is how a dictatorship works. Welcome to the New World. Obama Makes Threat Behind Closed Doors. Not sure Obama is treasonous………he is a foreigner who infiltrated the U.S.; became President due to the stupidity of many who bought his carnival snake oil and then set his terrorist destructive agenda in motion. He was and remains our greatest enemy and threat. Obama is in his final strategic act of destroying the U.S. I have been corrected, and proven wrong…..Obama is treasonous, citizen or non-citizen. So…..there! Which ever way you want to look at, he is the ultimate prick. Which is the greater crime, Bergdahl’s desertion charges or Obama releasing 5 terrorist leaders back to the Middle East? If Berghdahl is found guilty, and my opinion is he will be, whatever the punishment, Obama should be punished 10 times as much. Treason charges should be brought up against Obama, we know he is guilty! Is it getting hot Mr. President? After receiving comments for a week of this voluntary survey, and I say voluntary only because I did not solicit for the responses, it has come to a close. I know you are all excited to hear the results. I ask bloggers to respond to the following questions? 1. Should Obama be impeached? 2. Should Obama be tried for treason? 3. Has Obama violated the Constitution and should be held accountable? 4. Has Obama violated the law and the constitution, but should not be impeached? All that wanted to see Obama impeached stated in the least he has violated the Constitution and should be held accountable. About half of those that wanted to see him held for treason, if found guilty, wanted the death penalty (by hanging). Most of those that were in the 10% believed he was guilty of violating the Constitution or stepping out of his boundaries, but felt it would be a waste of time, that the Senate would not follow through regardless. Interesting comments: One individual felt Barack O. is the greatest president since J.F.K. and that anyone thinking of impeachment or treason charges are being ridiculous. Several of those that favored impeachment also favored cleaning house of all Congress. Personally, I have come to like that myself. The thought of having Joe Biden as president if Obama were removed, was mostly addressed with a joke. Too many to share now. Obama supporters will say that only those against Obama or racists would respond to the survey anyway. Of course that would be their justification, but I am only speculating. Speaking of which, it was mentioned that impeachment would bring out the race card; and interestingly enough, one individual said they could not use the race card with treason, since even white people have been hanged. I was a bit disappointed that there were only about 50 responses to the survey, but it did indicate a trend. The question now is, does that trend hold up throughout the nation. It is a good indication that most Americans want the President held accountable for his actions, but have little confidence in Congress to be responsible. I originally had mixed feelings on impeachment. I thought it was too late and only a waste of time and money. Even if the House impeached Obama, Harry Reid and his band of idiots would only protect their savior. But then, what has Congress done for several years now anyway, but wasted time and money. While they have impeachment hearings, we could find out how are representatives stand on Obama’s antics. Not that I need to know which ones need to go, I think they all need thrown from the halls of where real leaders assemble. Personally I would rather see Barack Obama arrested for treason than impeached……..there is plenty of reason for both. Neither the Legislature or Judicial systems in this country have the nerve or integrity to charge treason. I’m not sure they have it for impeachment. What is unique about this situation with our self- proclaimed King is, at one time I would have said they won’t do it because they have to be politically correct). However, if they did impeach, it could now be both politically correct and the right thing. The way I see it, it is a win-win for the Legislature. But they don’t think like the rest of us or me anyway- do what is right not politically correct. Just because Obama is a lame (and the term could not be truer) duck half way the through the term doesn’t mean Congress takes a vacation from their responsibilities (tongue in cheek there). Not doing their job, makes them as guilty as the accused. The differences between Republicans and Democrats are quite often for show. They are supposed to disagree, right? Don’t believe that so much, issues are decided in backrooms away from the media, and in many cases the few honest politicians that are sprinkled in the crowd. These actors then come on stage and put on their finger-pointing performances. Obama’s fate has probably already been decided. I only say probably because, I can’t prove it and I hold a glimmer of hope I could be wrong. Impeachment or treason? I am only going to mention two events. No. 1, Obama released 5 dangerous terrorists, and gave them back so they would eventually be reunited with comrades. Obama created an unnecessary threat to the security of this nation the instant he opened their cell doors. That is treasonous. No. 2, Obama allows a flood of immigrants to illegally cross the border into our country, carrying all their problems with them (too many to mention here) in violation of the law. Obama turns his back on this problem, he was only miles from the border just this past week, but would not go. Barry wants to blame Republicans for holding up the 3.8 billion of your tax money for the crisis getting worse. No…..he pushes blame in another direction to avoid the issue himself. Does Obama get immunity from violating the law? I suppose Biden could always pardon him later. These were just 2 events, there are many more, at which the very least are impeachable. The point is, we must do something to rid the most arrogant, destructive individual to ever reside in our White House. 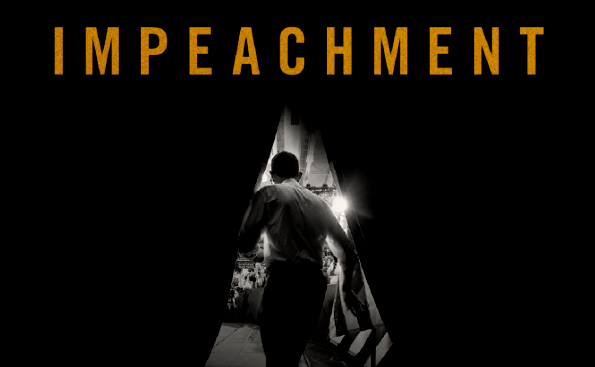 Impeachment or treason…….my vote would be treason, but that’s just me.